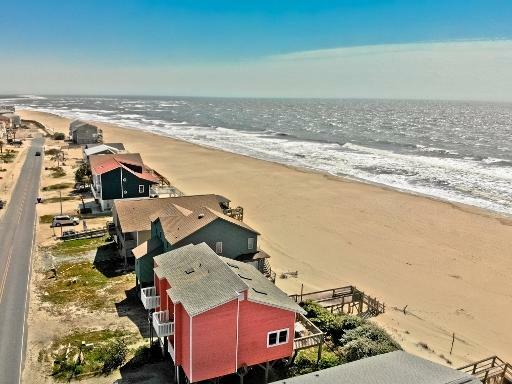 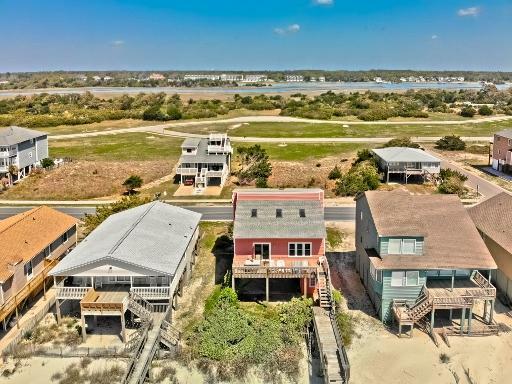 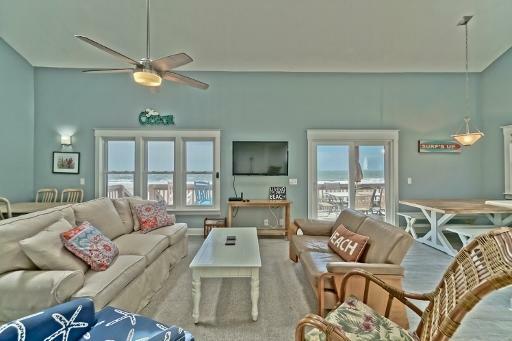 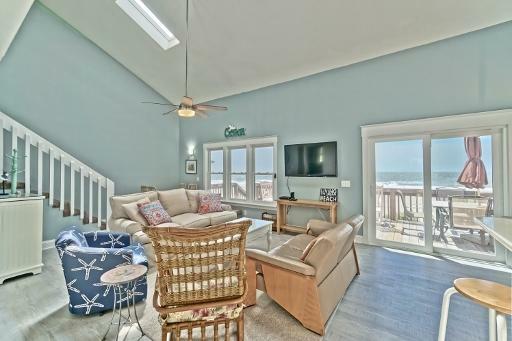 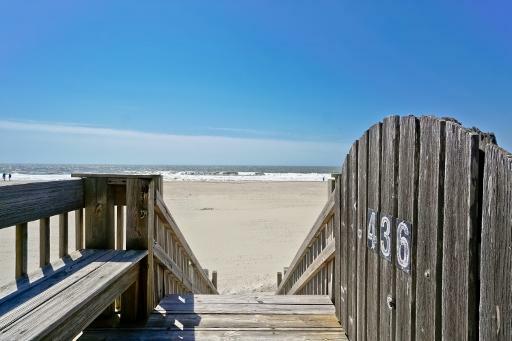 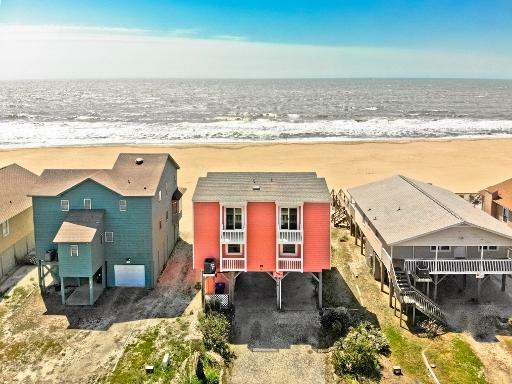 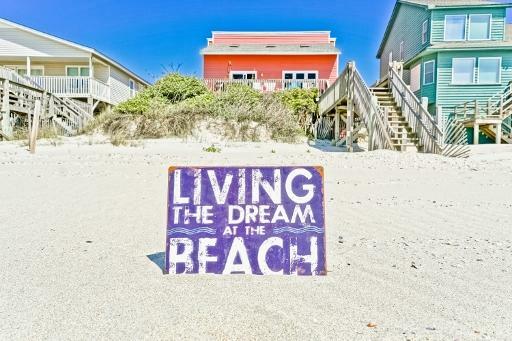 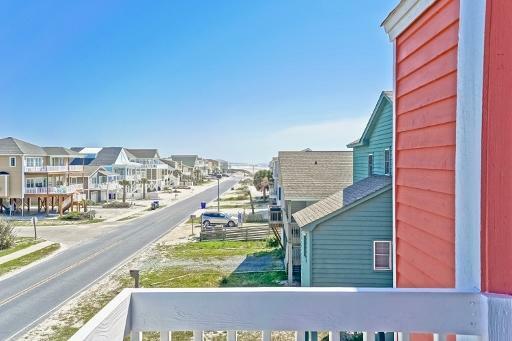 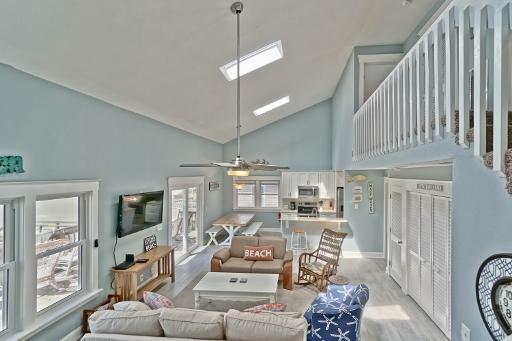 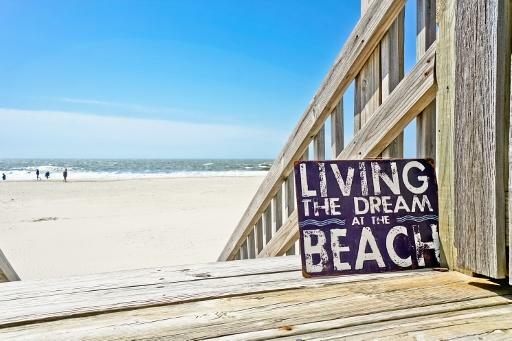 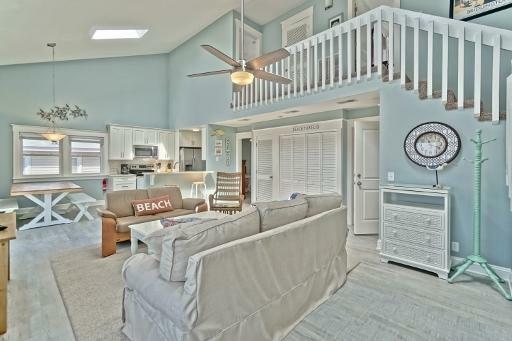 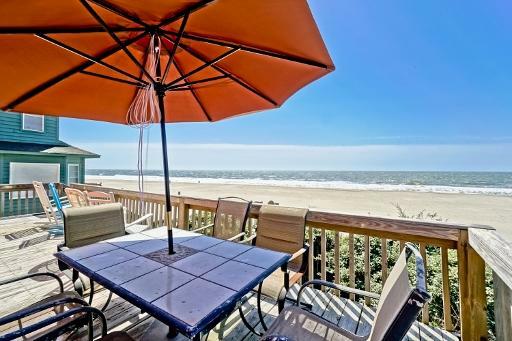 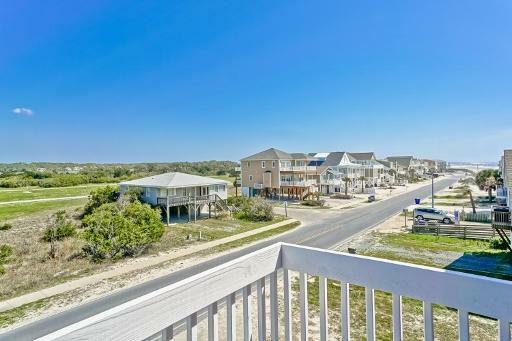 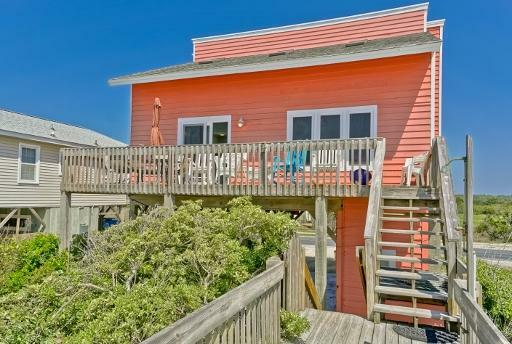 E2 436 Non smoking/ Must be 25+ to book/No pets Enjoy a newly renovated (2018) oceanfront beach house just steps from the sand. 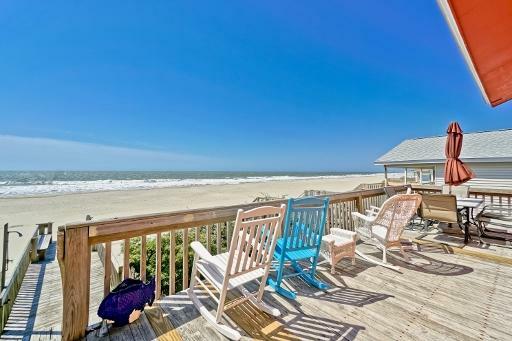 Not only has the house been renovated but so has the beach! 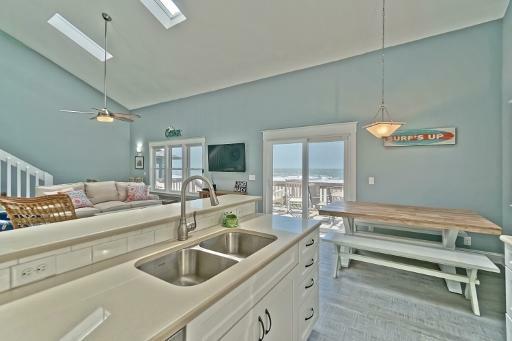 Drink your coffee, made in the brand new kitchen, on the deck for bird or dolphin watching. 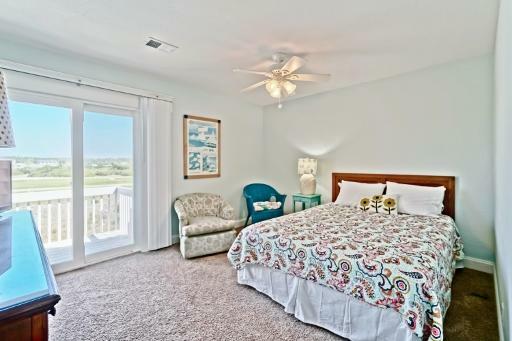 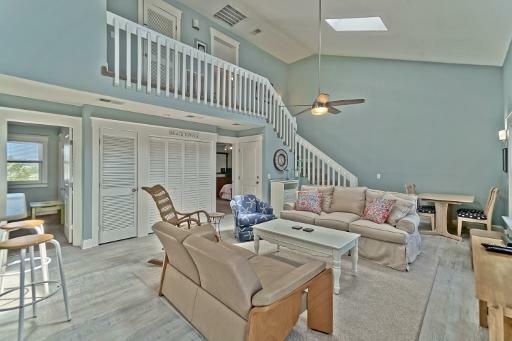 The balconies off the upstairs bedrooms are great too if you prefer looking at the Intracoastal Waterway. 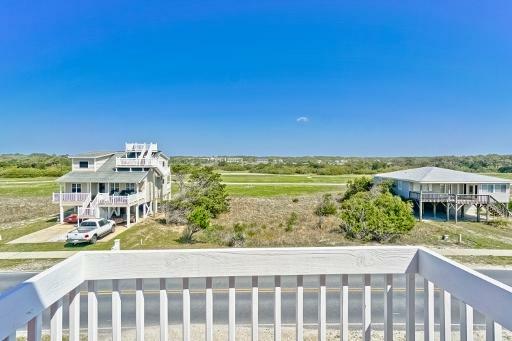 Yes, there are great views on both sides of the house! 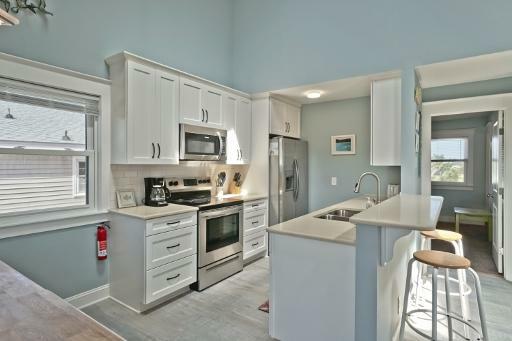 No surface was left untouched by this renovation including new doors, windows, moldings, and trim work. 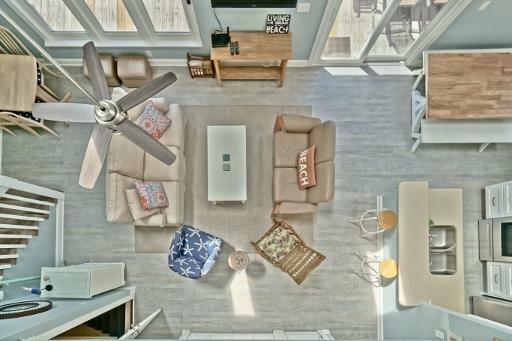 The bright and airy open floor plan includes a brand new kitchen, new appliances, and quartz countertops. 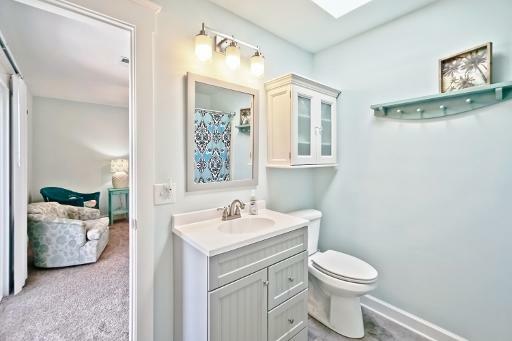 Bathrooms are updated and every room was painted. 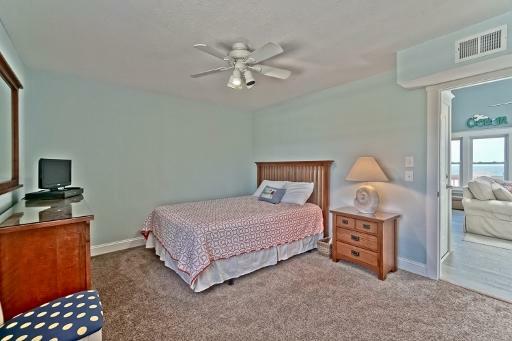 This non-smoking house offers TVs in all bedrooms, wireless internet, washer & dryer, dishwasher, microwave and ceiling fans. 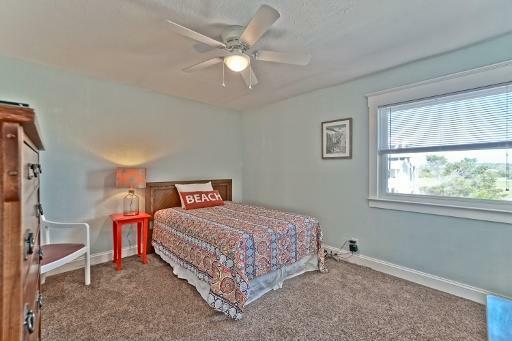 Sleeping for 10. 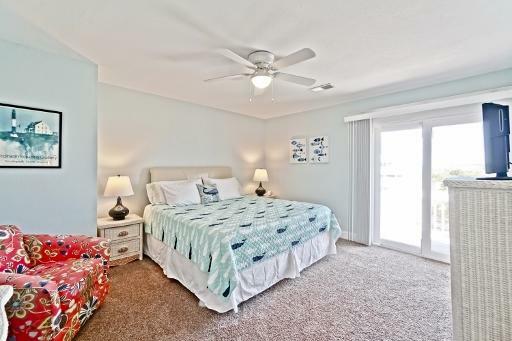 Beds - first floor: 1Queen, 1Double with 1Single, Second floor: 1King, 1Queen with 1Single. 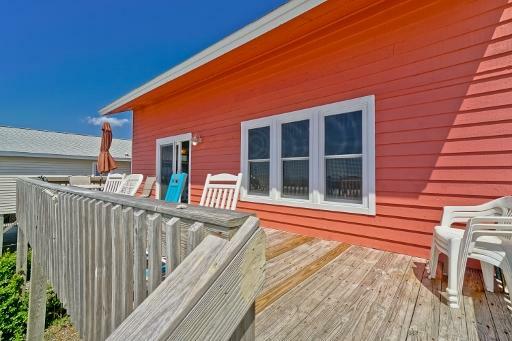 NO smoking, NO pets. 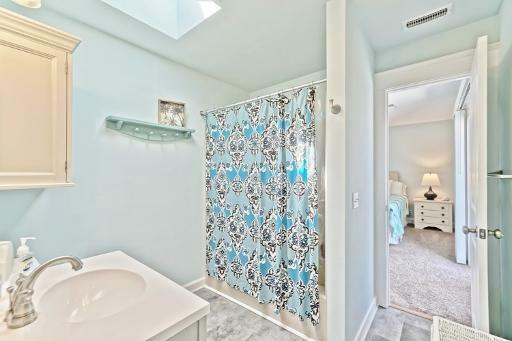 1 bathroom on 1st floor, Jack & Jill with shower. 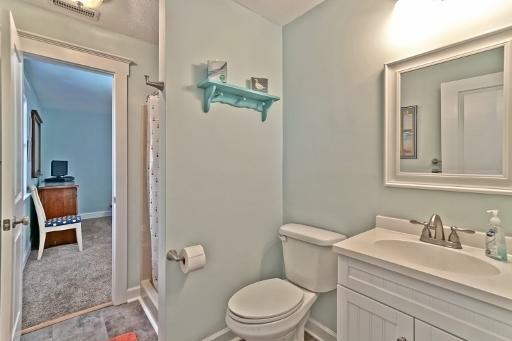 The second-floor bathroom is a Jack & Jill with a bathtub.